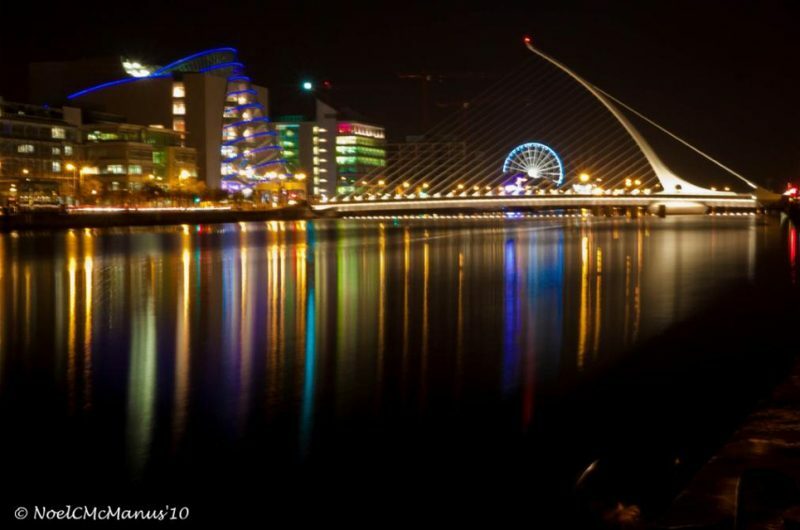 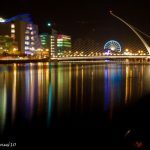 The River Liffey in Dublin at night. 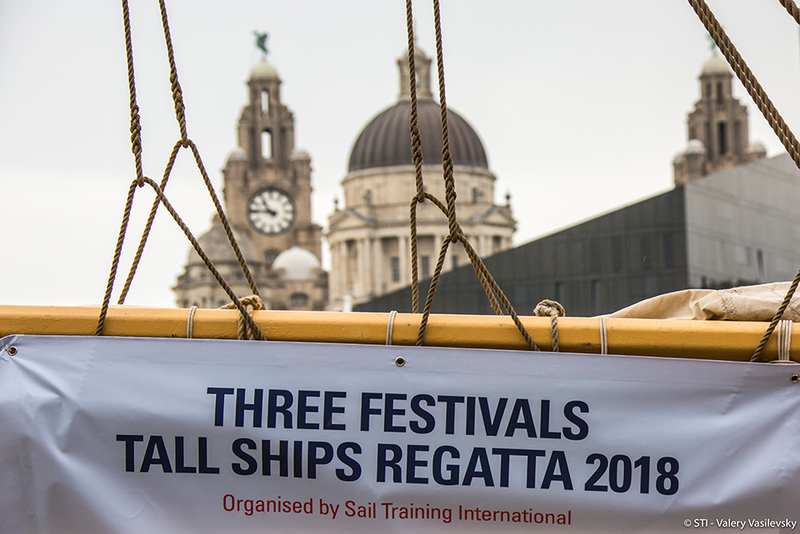 We were delighted to bring the international fleet of Tall Ships back to Liverpool, Dublin and Bordeaux as part of the Three Festivals Tall Ships Regatta 2018. 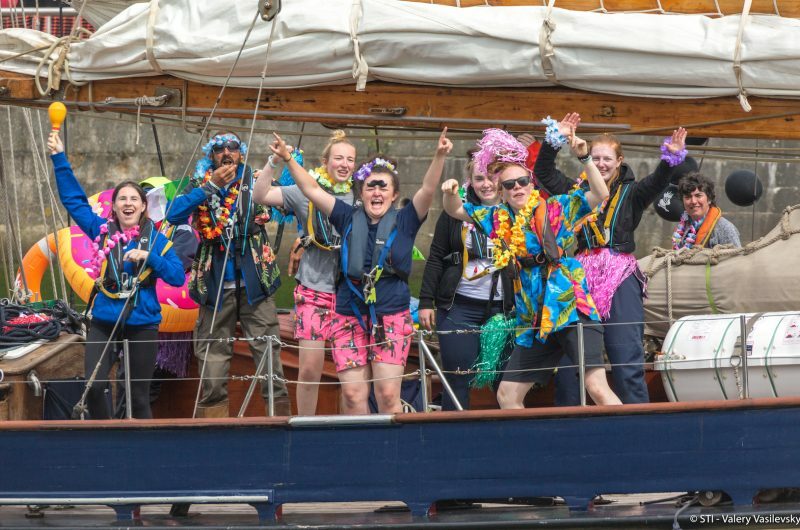 This two-leg event took place over the summer of 2018 in north-west Europe and saw a magnificent fleet sail from Liverpool, U.K., to Dublin, Republic of Ireland, and then to Bordeux, France, in an exciting race through the Irish Sea, Celtic Sea and Bay of Biscay. 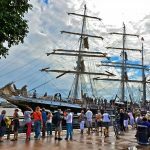 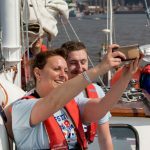 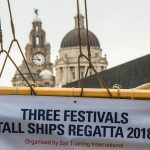 “The Three Festivals Tall Ships Regatta 2018 offers a great opportunity for the captains and crews to experience exciting racing in between three attractive and vibrant host ports. 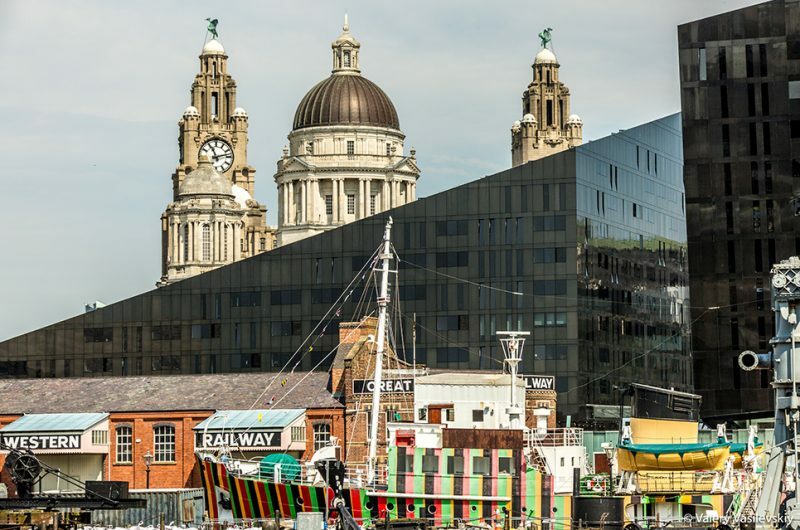 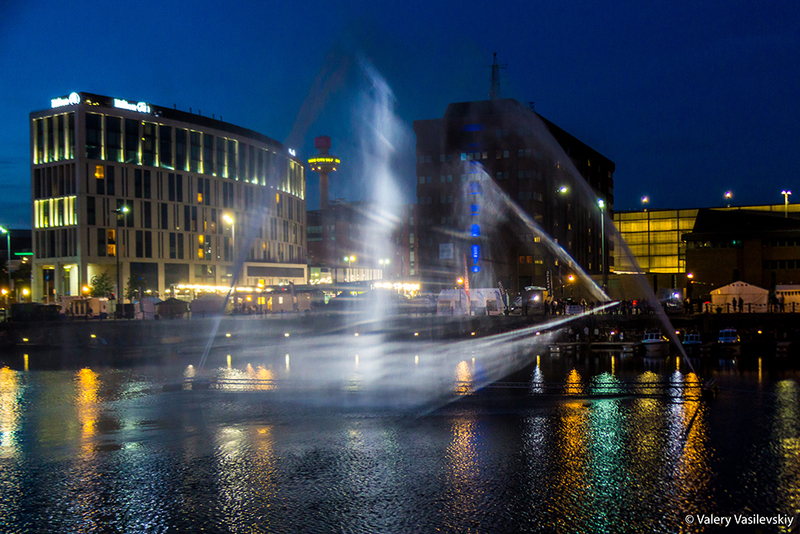 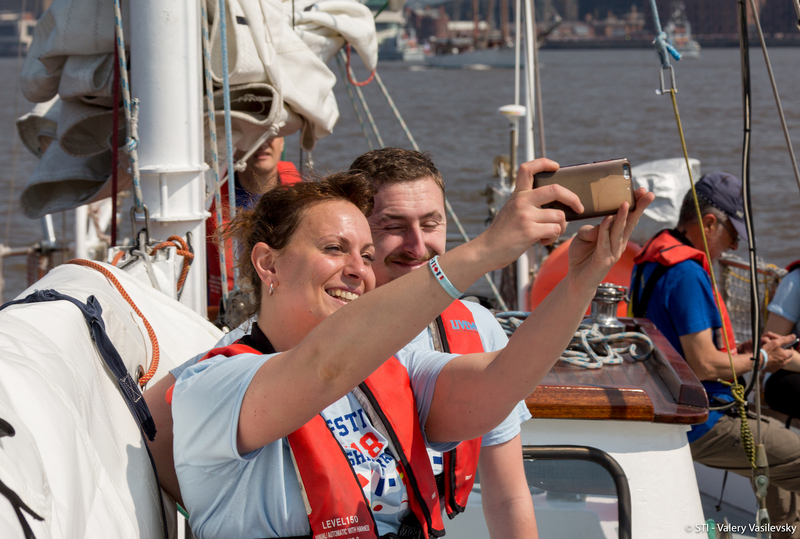 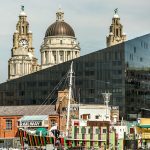 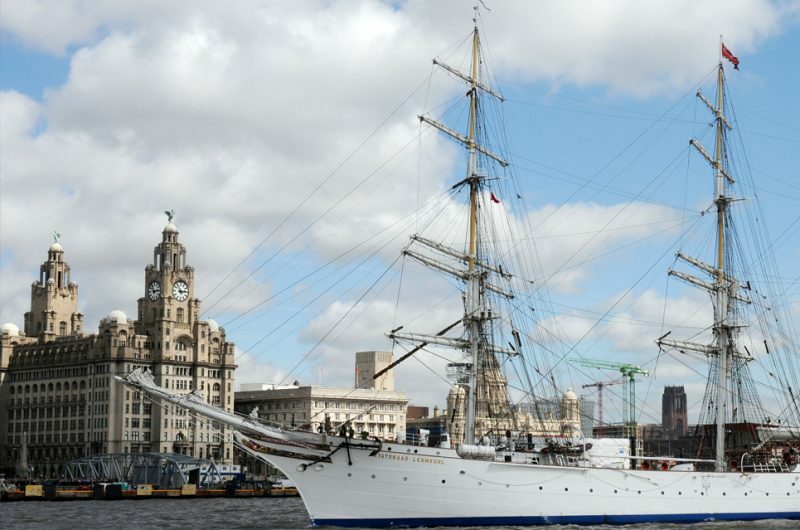 “Liverpool has successfully hosted the Tall Ships Races and Regattas in 1984, 1992, 2008, and 2012. 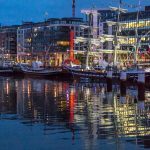 Tall Ships fleets have enjoyed going to Dublin in 1998 and 2012 for the Tall Ships Races, and once in Bordeaux in 1990. 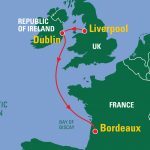 “Race one will be around a number of strategically placed Way Points in the Irish Sea, which will create close racing, with many of the fleet staying in sight of each other until the finish line off Dublin. 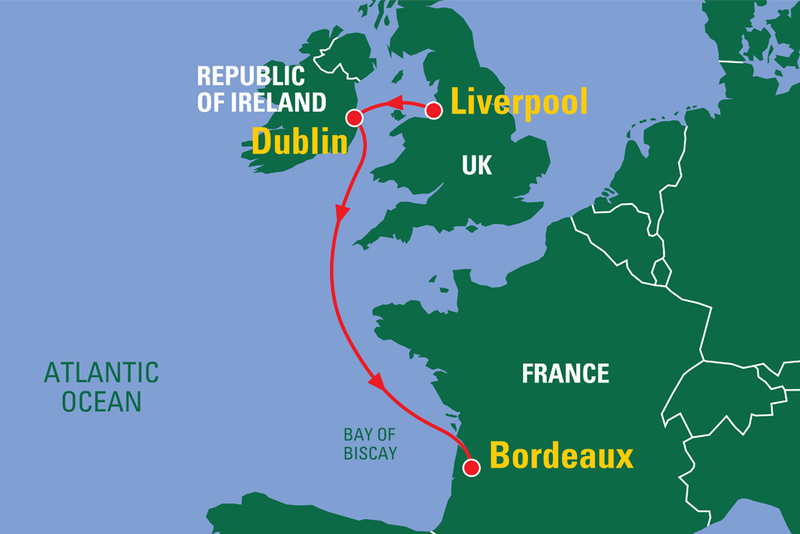 There will then be a transit to the race two start off the south-east coast of Ireland, before racing the 480-mile leg into warmer waters across the Bay of Biscay. 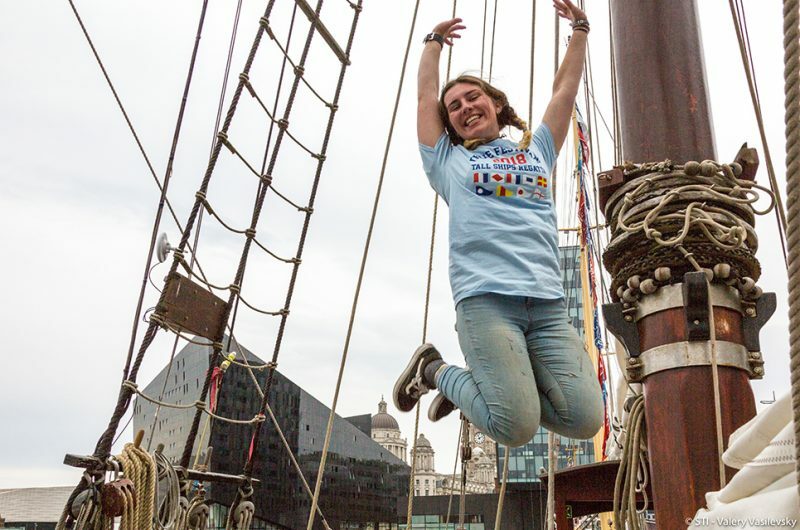 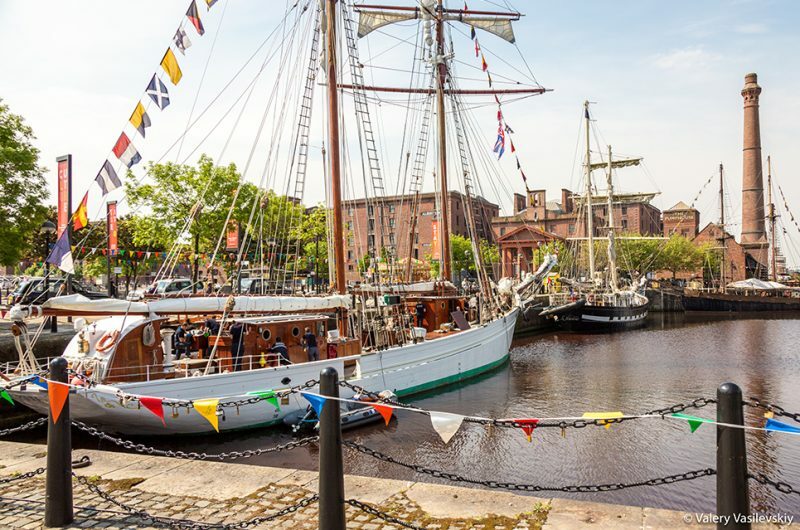 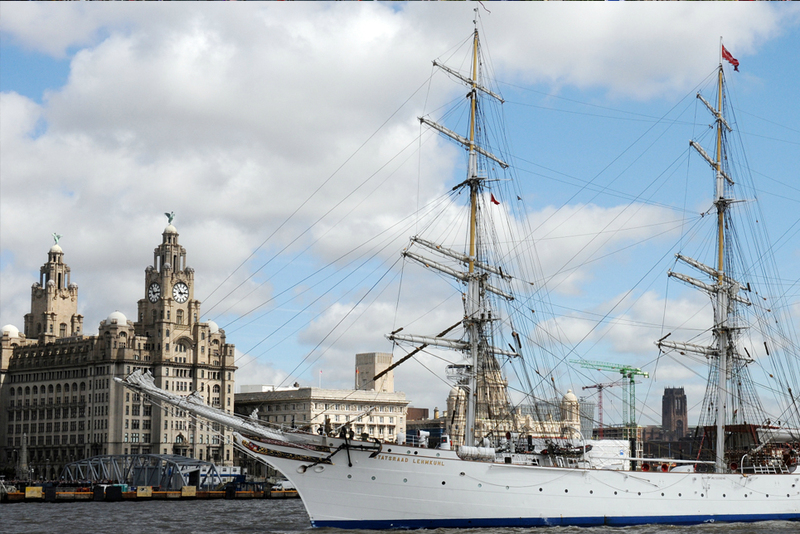 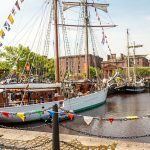 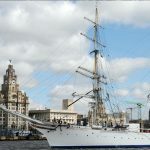 Liverpool had hosted a Tall Ships event four times before (1984, 1992, 2008, and 2012). This was the fifth event and marked the 10-year anniversary of Liverpool being named the “European Capital of Culture“. 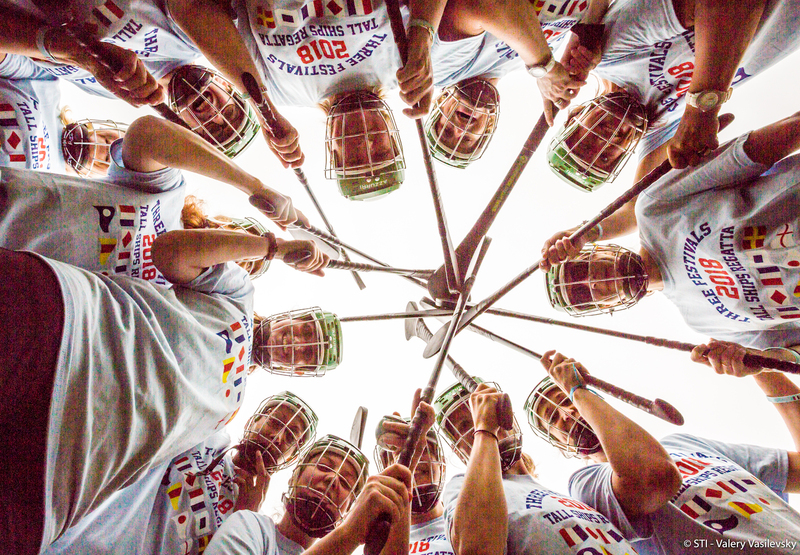 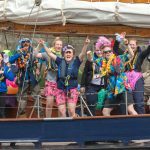 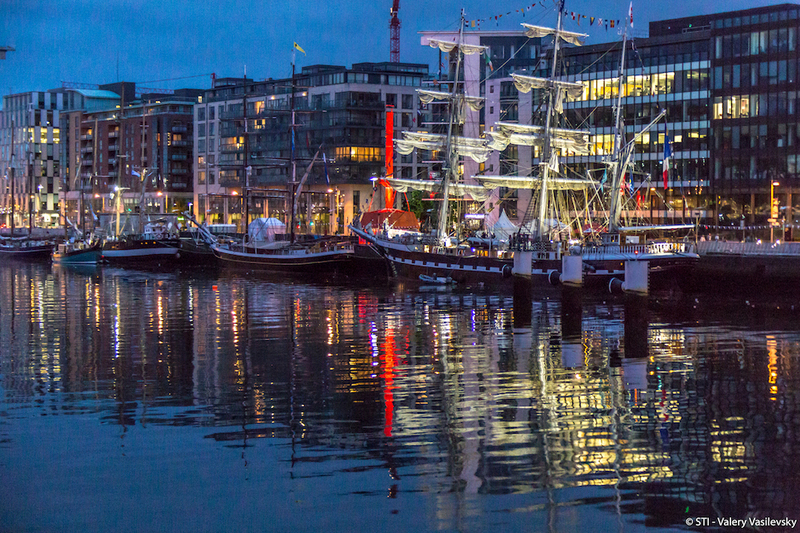 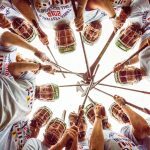 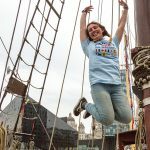 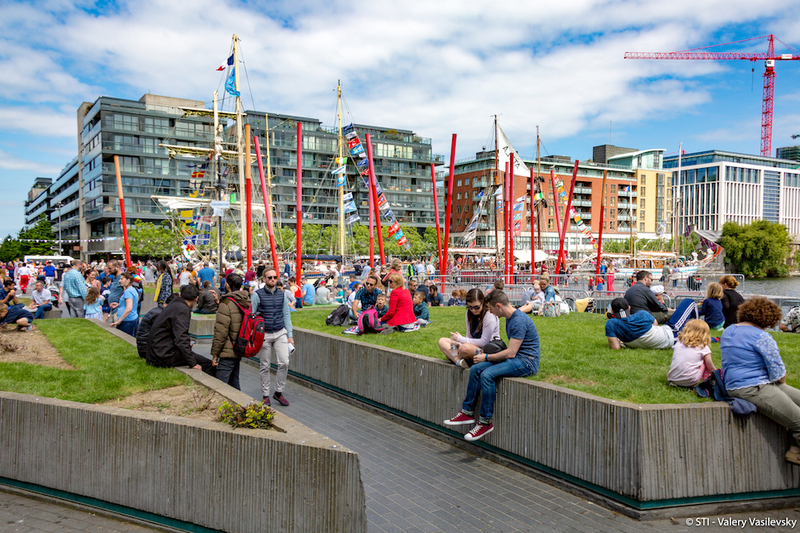 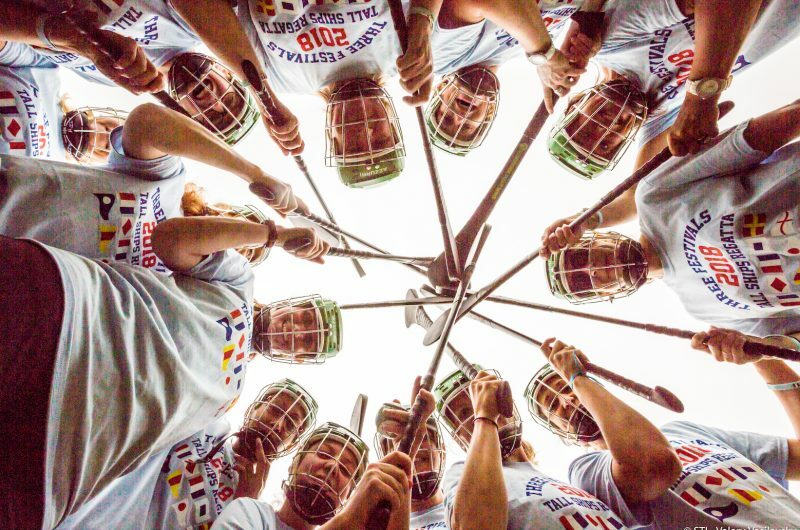 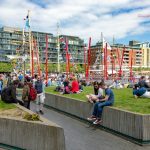 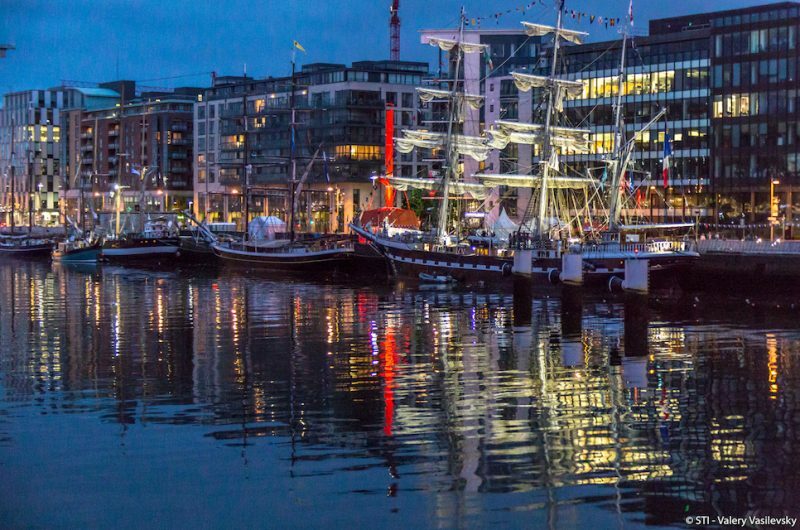 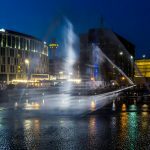 The Three Festivals Tall Ships Regatta 2018 was the first Tall Ships event that Dublin had hosted a since 2012 and focused on maritime activities, sail training opportunities, permanent visitor attractions and water based activities in the Dublin Docklands area. 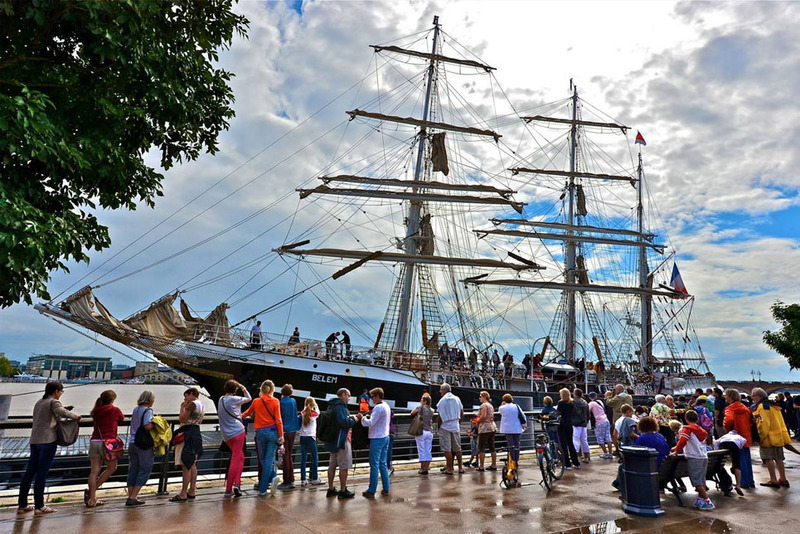 Bordeaux was the final port of the Three Festivals Tall Ships Regatta 2018. 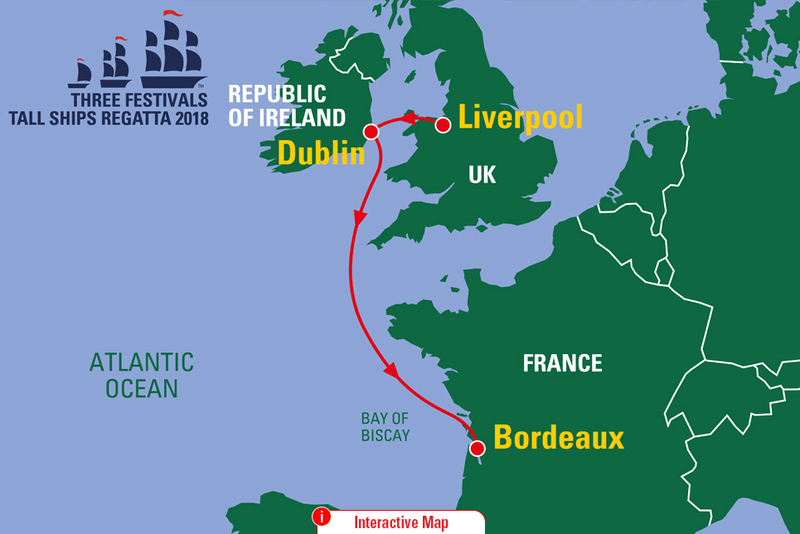 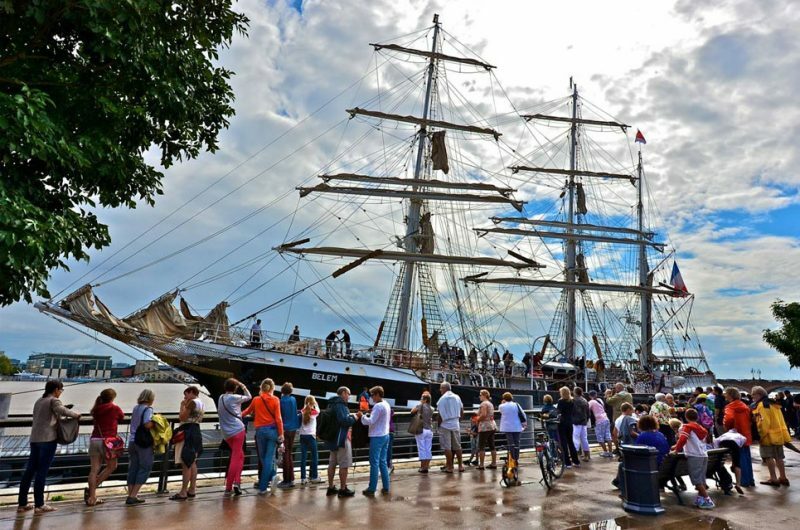 The vibrant and high-spirited capital of south-west France hadn’t hosted a Tall Ships event since 1990, and the regatta coincided with the leading European wine festival, Bordeaux Fête le Vin (Bordeaux Wine Festival), which celebrated its 20th anniversary during the event.